Traditional paper order forms are becoming increasingly cumbersome and problematic, causing businesses to seek better and faster ways of taking orders. Enter mobile ordering apps: efficient, convenient, easy-to-use order placing tools that save time, reduce errors, and serve as a single-source repository for all crucial client information. 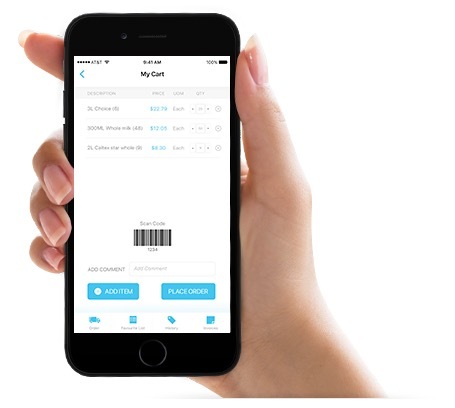 In response, many wholesalers, distributors, and manufacturers have already begun shifting to order taking and sales tracking apps and have indeed found that a complete mobile order taking system is not only easy to set up, but leads to an increase in productivity and average order size. When orders are taken manually, illegibility, human error, and delayed order submission from the field to the back office can be extremely common occurrences. Sometimes sales reps may be selling with inaccurate information. Businesses also may run into orders being placed for out-of-stock products. Additionally, it is incredibly hard to manage cumbersome PDF forms and excel sheets with multiple clients. These are just some of the inefficiencies that can negatively influence a company’s sales. Alternatively, order taking apps are specifically built to be robust, convenient, and quick. They increase the speed and efficiency of the order taking process, thereby simplifying field sales tasks, reducing man-hours, and increasing productivity. In short, the features inherent in an order-taking app are extremely conducive for online business. Many wholesalers have already looked to rid their sales processes of the inefficiencies that come with manual order taking. In an industry survey, 41% of respondents said that writing software was the primary method of writing orders, 9 percentage points above the next most common order writing method. Of the wholesalers not using technology to write sales orders, paper order writing was the most common at 27%, with PDF order forms (12%) and ordering using Excel (13%) trailing behind. 26% of respondents are planning on investing in order writing software over the next 12 months. 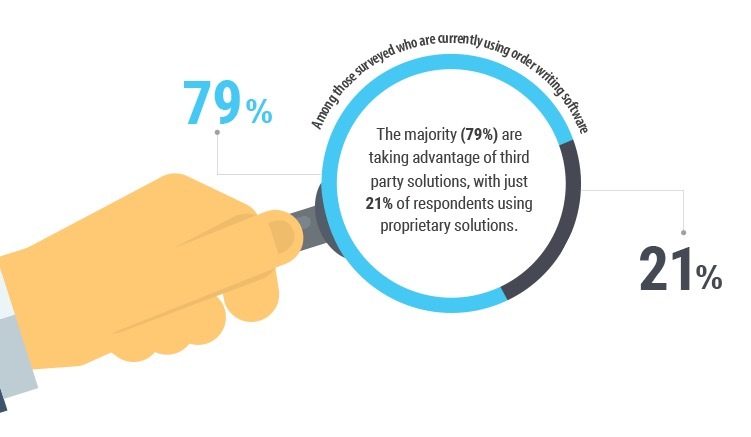 Among those surveyed who are currently using order writing software, the majority (79%) are taking advantage of third party solutions, with just 21% of respondents using proprietary solutions. Proprietary solutions, though, have high up-front costs and require considerable investment for ongoing maintenance; thus, more and more businesses across all industries are turning to off-the-shelf SaaS solutions for their technology needs. And, with the utilization of order taking apps, the vendor is taking care of all maintenance and upgrades rather than internal IT staff. 81% of wholesalers using order writing software can get their orders to the back office in less than one day, compared with just 69% of respondents using manual order writing methods. 47% of wholesalers using order writing software can get their orders into their back office in less than 1 hour, compared with just 16% using manual methods. This clearly shows that efficiency is achieved by using an order taking app.